This beautiful detached Villa is situated at one of the highest points in Oasis de Nazaret and boasts some of the best views in Lanzarote. It is 1km from the historic town of Teguise and just 15 minutes from beaches. 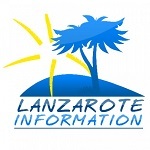 In the local area of Oasis de Nazaret we have the LagOmar Museum. Legend has it that this heavenly place once belonged to the famous actor Omar Sharif, who fell in love with the house while filming the mini-series, The Mysterious Island in Lanzarote. Despite his association with this place, Sharif was actually the owner for less than a day before he lost it to the Nazaret Oasis’ developer, Sam Benady, in a bridge game. In the museum you can travel through the history of LagOmar’s development and learn about Omar Sharif and his legendary career. You could also enjoy a meal at the Bar La Cueva – LagOmar. The magical evenings begin at dusk, when the volcanic rocks are transformed into deep red. Candles and natural lighting create a special ambiance in this relatively small yet stunning bar. La Cantina in the old Capital of Teguise is a fabulous old Canarian building which oozes character. There’s the main dining room, bar and central patio for a choice of indoor or outdoor tables. The restaurant is run by Benn and Zoe, who have lived on the island for the past 18 years. Their menu is amazing and the bar has a fantastic selection of beers, wines and champagne on offer with delicious Italian coffee and a free Wi-Fi connection for customers. Every Sunday morning between 8:30am and 2pm there is a large Market in Teguise. Here you will find a wide variety of items for sale such as hand-made table-cloths, jewelry, paintings and local wines! Here you can also just sit back and sample some of the traditional churros and watch the local Canarian dancers in the main square in front of the Church. The villa has a feature circular living room with a huge viewing window which soaks up the views of the mountains and sea. It has comfortable settees and large 40″ LCD TV, DVD, CD, iPod player and FREE wireless broadband. There is also a large collection of games, books, CDs and DVDs. The kitchen, dining area and living room are open plan split level which offers an excellent sociable and spacious area for the whole family, all the rooms have stunning views. The villa has a newly fitted modern kitchen and is fully equipped with all appliances. Doors from the dining area and the kitchen lead out on to the terrace which also enjoys the stunning uninterrupted views. The terrace has seating for dining and relaxing in the sun. A new good sized heated swimming pool (electric rather than solar heated) was installed in 2013. Lockable gates keep the pool safe when not in use. 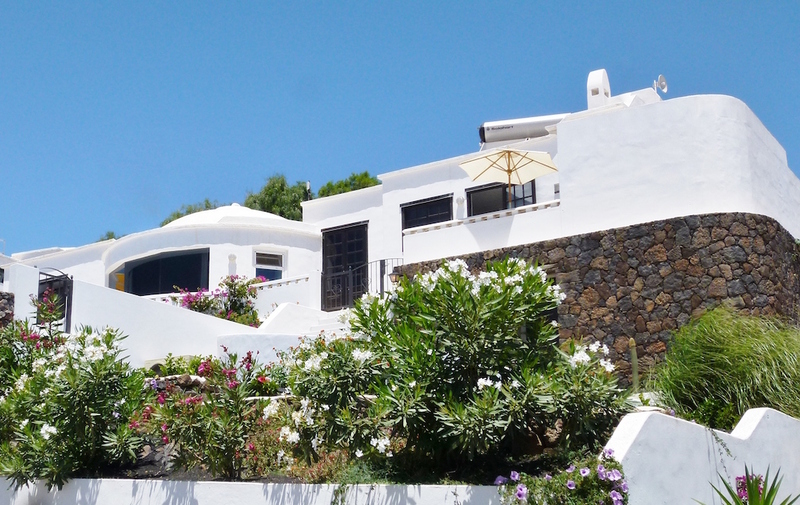 There is a King Size master bedroom with double doors out to the pool and stunning southerly views, a double bedroom with double doors out onto private terrace, large bedroom with 3 single beds, sea views towards Costa Teguise, plus 1 x shower room and 1 x family bathroom. There is a secure bike store and an additional large games room which houses table tennis and darts, bi-folding doors open to the terrace and to the pool. There is a lovely front terrace where to sit and enjoy your meals and scenery. Wi fi and air conditioning. The price is all inclusive, no hidden extras, and includes a welcome pack, pool heating, free WiFi, hotel quality cotton linen and towels. A changeover is provided for 2 week stays but additional cleaning / laundry change is offered for a small fee. The property is strictly no smoking. The price ranges from £525 per week in off season to £825 per week in the high season. Contact now for rates for your dates.